The growing Mini LED adoption in monitors, notebooks, tablets and even mobile phones, as well as the increasing Micro LED display reveals indicate the booming market of advanced LED applications. Macroblock, the Taiwan-based LED driver IC specialist, might be benefitted from the wave. The company has joined the supply chain of Samsung’s LED cinema and is currently working with the Korean giant on Mini LED and Micro LED technologies. Samsung has expanded its LED cinema screen in worldwide cinemas including China, India, Singapore, US, Germany and more. Samsung has also begun mass production of its “The Wall” products. 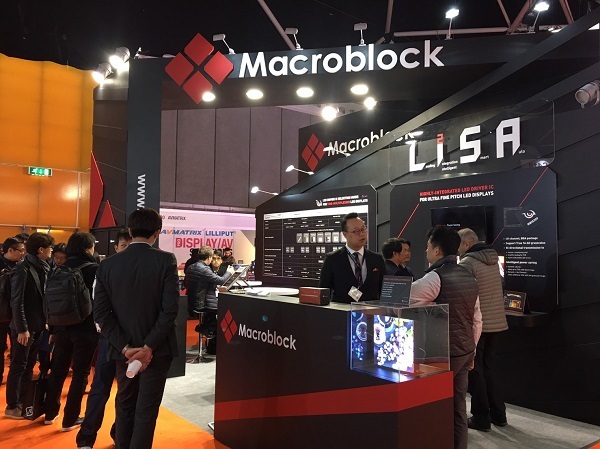 Macroblock as part of the supply chain is expected to grow with Samsung’s thriving business. In addition, the driver IC maker also reportedly plans to launch Micro LED products for wearable devices like AR/VR smart glasses. Meanwhile, Macroblack is prepared to mass produce driver ICs for Mini LED and Mini LED backlight module to meet the expanding demands. Recently, Chinese mobile phone makers Huawei and Xiaomi were said to debut smartphone adopting Mini LED backlight and Macroblack was noted as the partner of Huawei. LEDinside noted that the Mini LED market will rise on its way into displays of consumer electronics in 2019 and 2020. The market value is estimated to reach US$ 1.699 billion in 2022. Apple also reportedly plans to release products adopting Mini LED backlight the soonest in 2Q19.